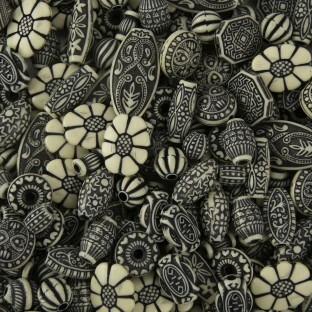 A wonderful mix of ornate old-world style beads! 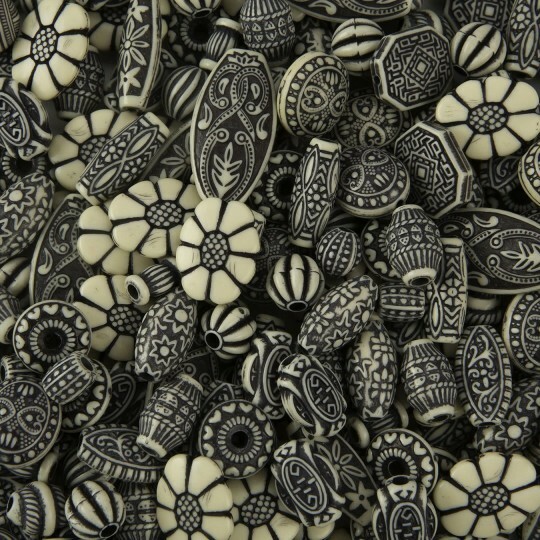 A wonderful mix of ornate old world-style beads with an antiqued, vintage look. Beads range in size from 4-39mm with holes that are 2-4.5mm. Approx. 350 plastic beads per 1-lb. bag.